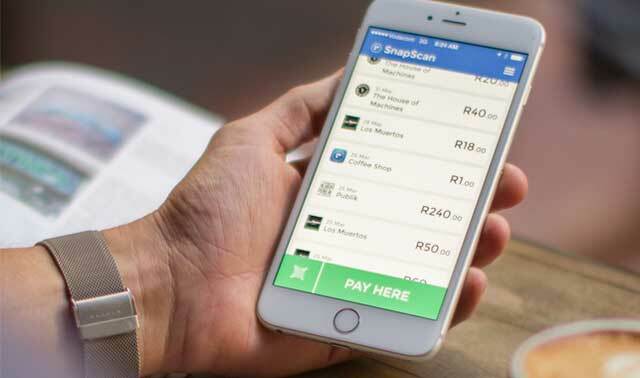 SnapScan, the mobile payments application developed by Cape Town-based start-up FireID Payments in collaboration with Standard Bank, has introduced Bluetooth-based payments in its app, obviating the need for users to scan a QR code at the point of sale. At supported retailers — there are about 40 of them in Johannesburg and Cape Town at launch — SnapScan users can now use “SnapBeacon” payments, says co-founder Kobus Ehlers. This is a small subset of the 17 000 points of sale at which the app can now be used, but should grow over time. The technology uses “beacons”. Instead of a customer scanning a “SnapCode” to pay, they simply click “pay here” in the app to initiate the transaction. The functionality is available in the latest update to the SnapScan app, available in Google Play and Apple’s App Store. Users must have Bluetooth switched on to use the service. The option to scan a code is still available. The functionality is not enabled by default and must be turned on. Most recent phones are supported, including the iPhone 4S and later and most Android phones running version 4.3 or later of the Google operating system. Bluetooth beacons are deployed at no cost to the merchant and they typically provide a range of up to 10m or even 20m, easily covering all corners of a coffee shop, for example. Ehlers says SnapScan now has “a few hundred thousand users”, with the mix of merchants having changed dramatically in the past year. The company is in talks with a number of retailers about how to integrate the technology at their points of sale while adding value rather than simply trying to compete with traditional card payment options.